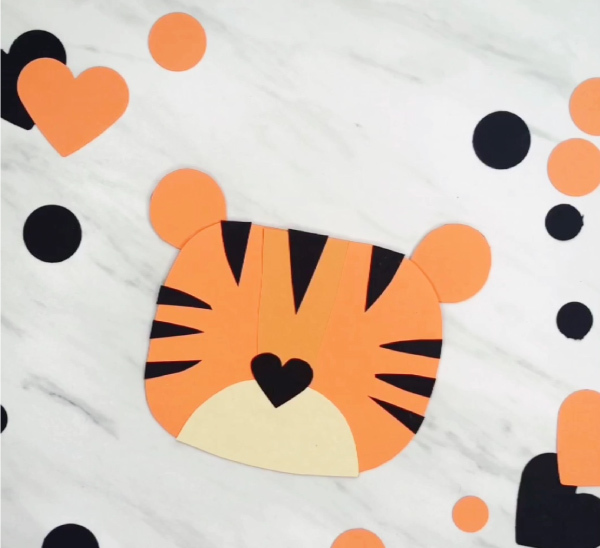 Inside: This February, make this tiger handmade Valentine card with the kids. It’s perfect for giving to Mom, Dad, Grandparents or Teacher. 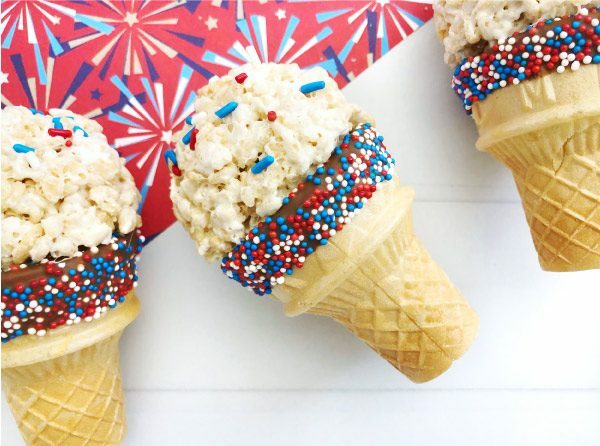 February is nearly here and that means it’s another excuse to make an easy kids craft! In the past, we’ve done a few Valentine’s Day themed crafts including this llama valentine craft for kids, these Valentine’s Day activities for kids and of course, we’ve made a ton of printable Valentines cards. 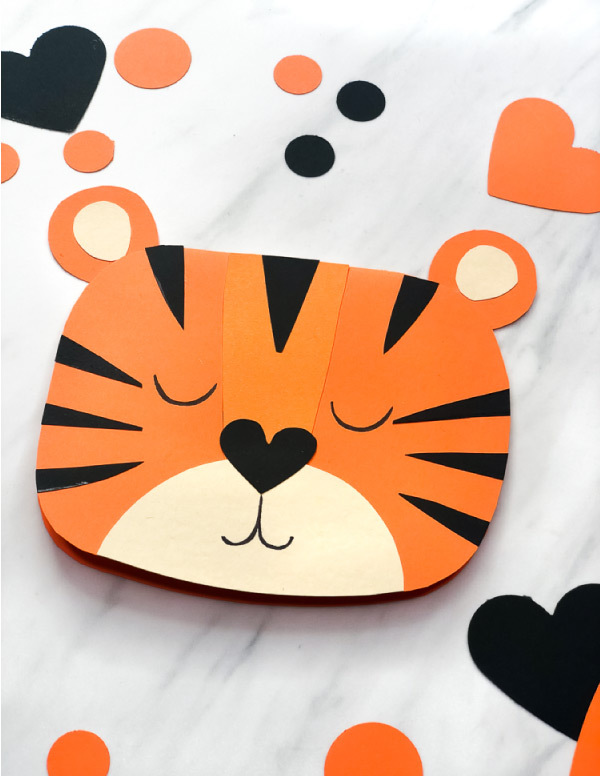 Today, we’re making a cute Tiger valentine card paper craft that’s simple enough for elementary aged kids to make by themselves. 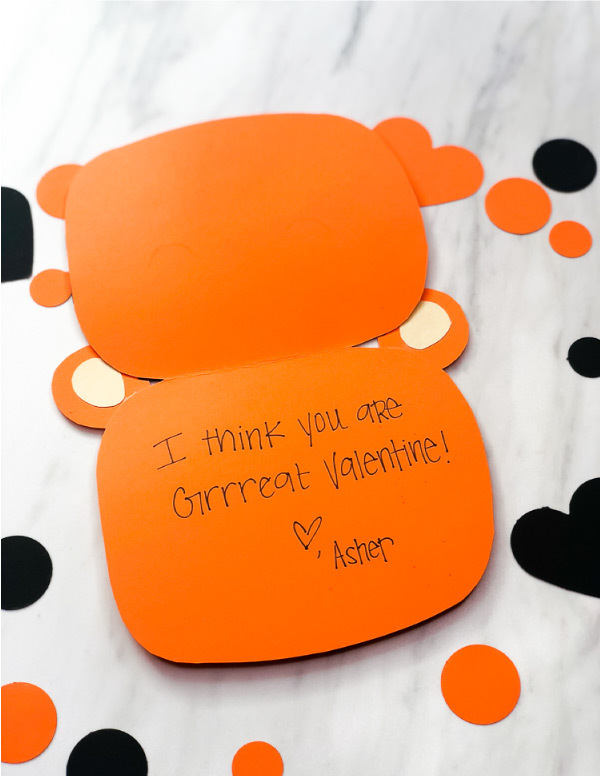 Read on below to see how to make these homemade Valentine’s cards with your kids or students. This homemade Valentine’s card is easy to make and requires only a few simple supplies. Note: There are two versions of this card template available. One is for use with a single child and the other is for use with multiple children. 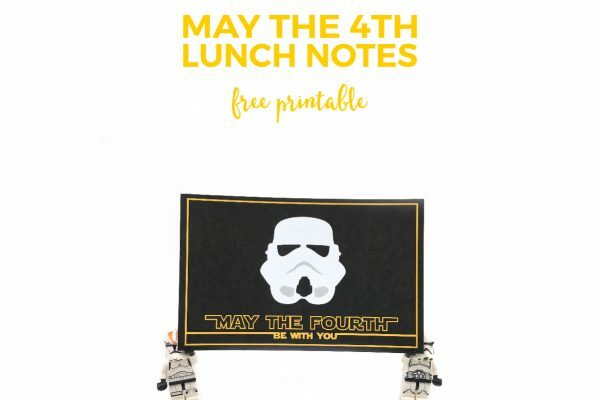 If you are using the single child template, you’ll print it out on white cardstock, then trace and cut out on the appropriate colored cardstock. If you’re using the multiple child template, you’ll print multiple copies of each part on the colored cardstock and cut out. Both templates are included in the download file so you can choose which one best suits your needs. Print out all of the tiger card template pieces on the corresponding colored cardstock. 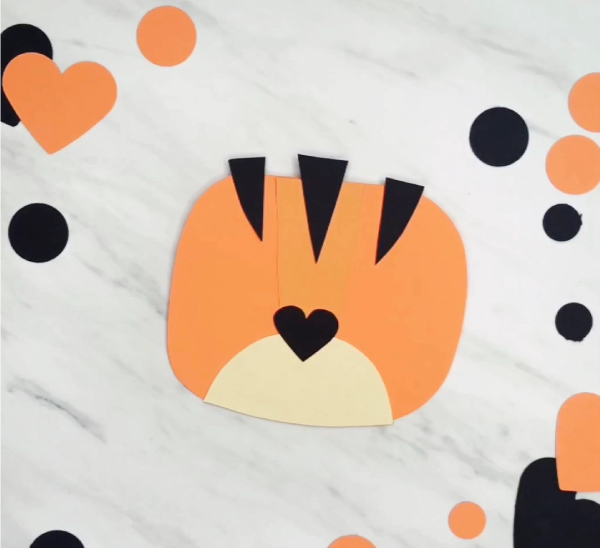 To make the base of the card, fold the orange paper in half along the top part of the tiger head. Cut along the tiger’s head except at the top part where the fold is. 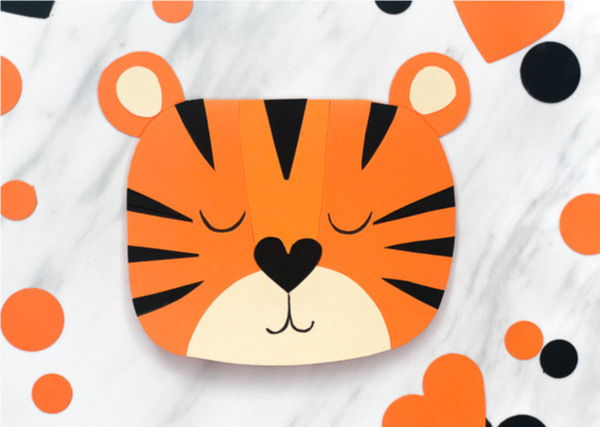 Cut out the dark orange tiger piece and glue on the top, middle of the card. Cut out the mouth area and glue on to the bottom middle of the card, on top of the dark orange tiger piece. 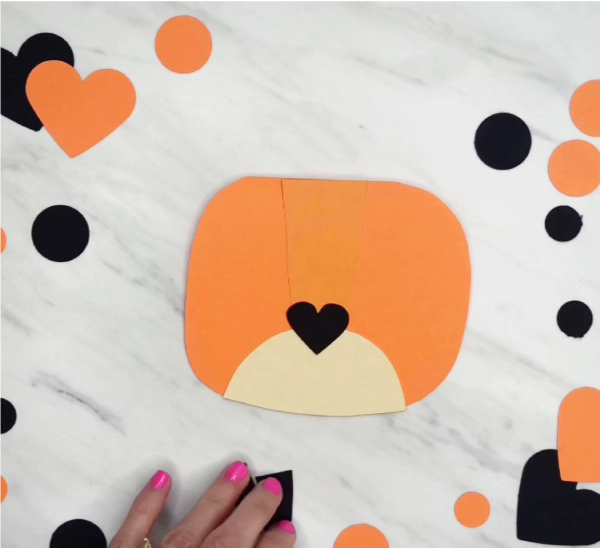 Glue the heart nose so it’s overlapping the dark orange tiger piece and the mouth area. 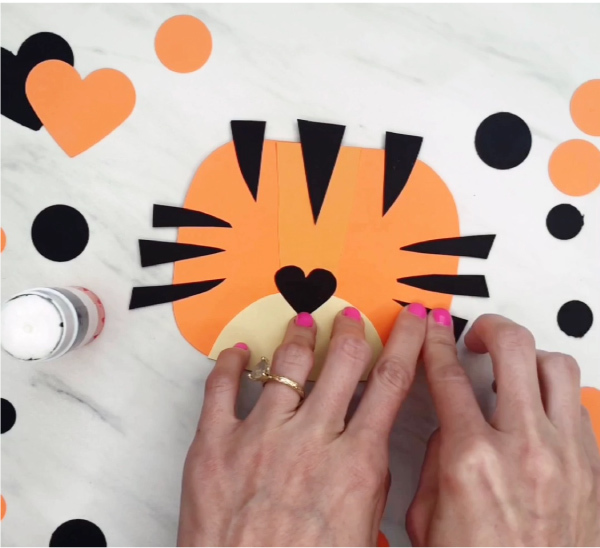 Glue the larger tiger stripes to the top of the tiger head and trim off any overhanging pieces. Glue the thinner tiger stripes to the sides of the tiger’s head and trim off any excess. Cut out the ears and glue to the back of the card. Cut out the inner ears and glue to the front of the orange tiger ears. 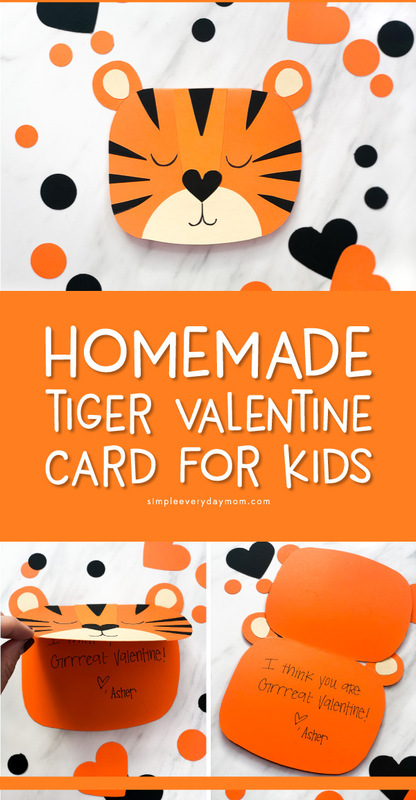 Open the tiger card and write your custom valentine message. That’s all there is to it to make this cute and easy Valentine’s Day card. 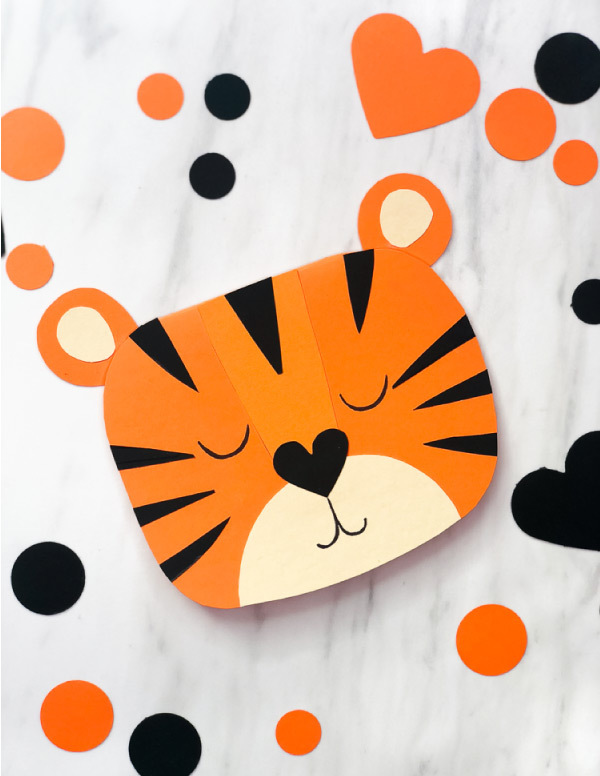 This tiger card is perfect for making in the classroom to send home to Mom & Dad or to make at home to give to grandparents. 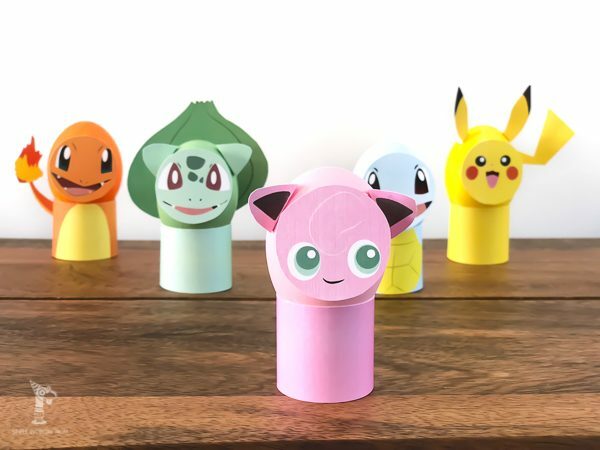 Either way, it’s a fun Valentine’s activity for kids. 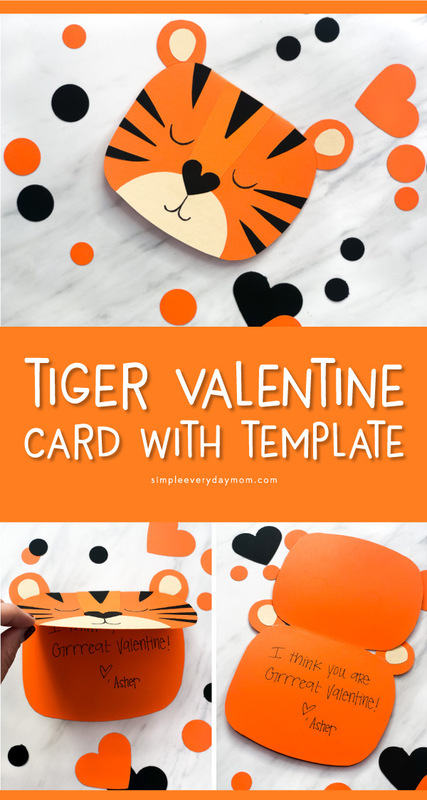 If you want to make this tiger card with your kids or students, don’t forget to enter your email in the form at the bottom of the page to get your free template.